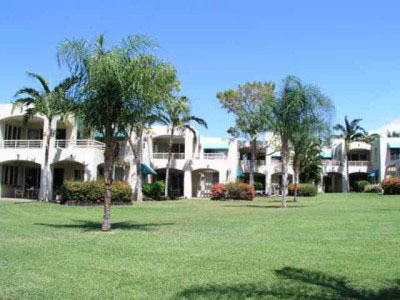 If you are looking for paradise within the United States, aHawaii Vacation Rental by Owneris your solution. Hawaii consists of several beautiful islands, beaches and the pacific ocean. The seven main islands the make up the state include: Maui, Oahu, Lanai, Hawaii (Big Island), Molokai, Kauai, along with Niihau. Oahu is the island that is traveled to the most and makes up 80% of the states population. The capital of Hawaii, which is Honolulu is located on the island of Oahu as well. Maui, Kauai and The Big Island are also extremely popular vacation destinations for tourists. Lanai, Molokai and Niihau are much smaller, however if you are looking for a quiet and relaxing vacation with little tourism, you may be interested in one of these smaller islands. Each of the islands throughout the state of Hawaii have their own unique characteristics that attract tourists. It�s not uncommon for travelers to visit more than one island while vacationing in Hawaii, however you want to make sure that you are able to get ample time to enjoy each island that you visit. They do offer daily flights to other islands if you want to take a day trip to go play golf, shop or a nice dinner with the family. They are short flights and reasonable in price. The weather in Hawaii is extremely comfortable both during the summer and winter seasons. During the summer season, the average daytime temperature is around 86 degrees. The summer season runs from May to October. During the winter months you can expect an average daytime temperature around 78 degrees. When sun goes down and the night approaches the temperature is going to be generally about 10 degrees cooler. It seems to rain quite frequently in Hawaii. It could rain everyday while your on vacation, however most of time it is just a quick 30 minute shower. The rain is generally caused by high-pressure zones located in the north Pacific that are known to generate cool and moist trade winds down on the Island�s North Eastern Mountain Slopes. The rain showers are very isolated in Hawaii. It may rain for 30 minutes 5 miles away and be beautiful with sunshine where you are. Generally you can expect more rain from the month of November to May, which is the winter season. The islands of Hawaii are 100% composed from volcanic rock. It is the only state within the United State that is like this and the volcanoes began composing this beautiful islands an amazing 70 million years ago! The volcanoes were below sea level and when they would have an eruption they would gradually push the island up and eventually they were above sea level. Mauna Kea ~ This mountain region has an elevation of 13, 796 feet and is the tallest of all the Hawaiian Mountains. If this mountain would actually be measured from its base, which is 16,000 feet below the ocean, it would be considered the tallest mountain on the earth! 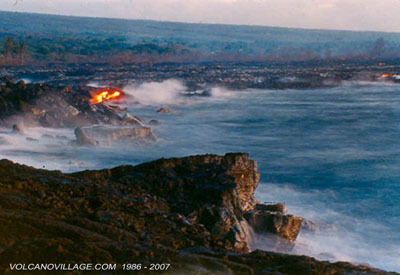 The mountains makes up almost 25% of The Big Island�s landmass and is the 4th most active volcano. The peaks of the mountains actually receives a tremendous amount of snowfall each year, which is absolutely hard to believe when your laying on the beach below it baking in the sun. Mauna Loa ~ The is a great mountain region to do some hiking and exploring. It features rain forests, a wide array of wildlife, along with a variety of plush plants and trees. It is recommended to get a map if you plan to get on the trails and hike. The highest point of the mountain is known to be very cold with temperatures getting below 0 degrees. So, be sure to pack warmer clothes if you plan to go high. The higher you go the cooler it gets, however the views that you rewards you are well worth it! Waimea Canyon ~ This is often referred to as the �Grand Canyon of The Pacific�. The trails provide amazing views of the island of Kauai. They feature lush forests and other amazing geologic properties. 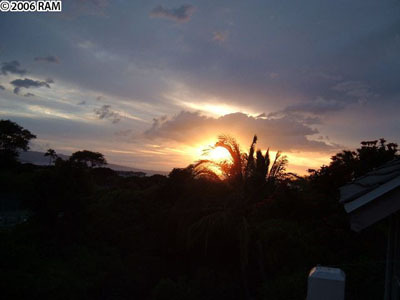 While staying in your Hawaii Vacation Rental by Owner, you will look forward to a nights sleep after each day. The amount of activities that are available to tourists is absolutely crazy. You will never have a dull moment while on a Hawaii Vacation. Here are the most popular activities that tourists enjoy while traveling to Hawaii, however the list is honestly endless and it would be impossible to list them all. Since, you are on a island, your surrounded by the water of the Pacific Ocean. This provides several different water activities, which include: swimming, scuba diving, snorkeling, wake/body boarding, surfing, sport fishing, submarine trip, kayaking, swimming with dolphins, boating, dinner cruises, shark encounters, along with much more. While, on the land of your island of choice, you can enjoy the following: sunbathing, atv trips, horseback riding, shopping, luau�s, live entertainment, fine dining, golf, hiking & sightseeing, off-road jeep tours, day at the spa or massage, zipline adventure, mountain biking, water & amusement parks, hunting and the list goes one. If, you would rather be in the air, Hawaii has you covered there too. You can enjoy airplane and helicopter tours, parasailing, jumping off high walls, ski diving or bungee jumping. Your options of activities while traveling to one of the amazing islands of Hawaii are endless. 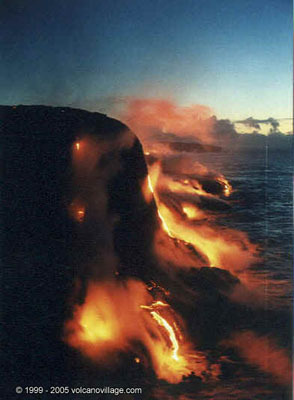 Hawaii ~ This island may be referred to as the Orchard Isle, Volcano Isle or The Big Island. It is the home of the world�s most active volcano and it has been releasing lava since 1983. You can even hike around the volcano and into a crater. Fresh snow is atop of the mountain peaks and there are white, black and even green sandy beaches. Oahu ~ The island of Oahu holds approximately 80% of the states population. It is the home of the popular cities Waikiki and North Shore. Travel back into history by visiting the historical site of the Pearl Harbor. While, visiting Oahu you will have plenty to do on your vacation and will enjoy every day of it. Kauai ~ The first thought that will come to your mind when arriving to the island of Kauai, will be �This is absolutely beautiful�. There are tall cliffs and the Walmea Canyon in Kauai. Enjoy the sights of deep ravines, waterfalls, cliffs, canyons, beaches and bays, while staying on the island of Kauai. Maui ~ This amazing island features world class championship golf courses and was voted �Best Pacific Island� by the readers of Conde Naste Traveler. Maui is one of the most traveled to islands of Hawaii and is well known for its magnificent beauty. Lanai ~ The island of Lanai is a small, relaxing tourists spot. It is ideal for couples who want to enjoy a romantic vacation. There are some great activities that you and your spouse can enjoy while on your getaway from life back home. Molokai ~ If you want to enjoy a Hawaiian Vacation the traditional way, travel to the island of Molokai. This island is known to stay with its Hawaiian roots by providing you with pure relaxation away from the city life. Enjoy the tranquility while staying in your vacation rental by owner. Traveling to Hawaii is something everybody should do at least once during their life. It is the ultimate vacation and will allow you to enjoy paradise to its fullest. 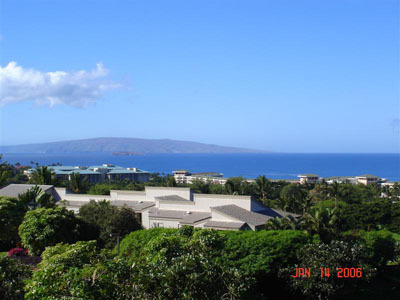 Hawaii Vacation Rentals by Owner can be booked online at ivacationonline.com. 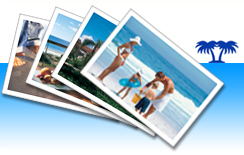 Thevacation rental softwareallows you to work directly with the private owner to book your dream vacation at a great value.